Over time, ​cracks, potholes, broken paving blocks, puddles and drainage issues could have rendered your driveway​ ​unsightly, unusable, and in need of repair​. While in some cases simple​ ​driveway repairs​ ​might be all that’s needed and prove inexpensive to fix the problem, sometimes it may not, unfortunately. Depending on the issue, investing in a new driveway might actually offset the cost of major repairs. Now may be the ideal time to review if your initial choice of surface – block paving, tarmac, concrete or gravel – is still adapted to your needs. The advance in material technology and surfacing techniques in the last 10 years have contributed to make driveways more cost-effective than ever. Resin paving​ is the ‘Rolls-Royce’ of driveways because it offers the best long-term solution – it outperforms all other surfacing methods in terms of aesthetics, safety, durability, drainage as well as being low maintenance. We have over 25 years’ experience as a paving contractor and driveway specialist. We offer a 10-year guarantee as standard that covers labour and materials for complete peace of mind. Our surveyor will arrange a free visit at a time convenient to you and explore the best options to fix the problem. We ​undertake driveway repairs​ t​ hroughout Devon, Cornwall, Somerset and Dorset. We’ve helped hundreds of customers who had fallen prey to ‘cowboy’ operators and ended up with badly laid resin (see the main picture as real-life example). 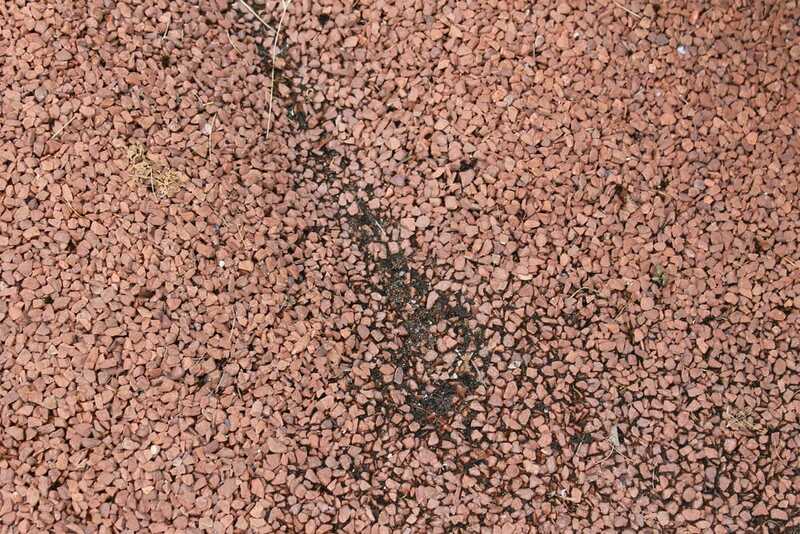 Common issues are cracks, loose stones (coming off the resin aggregate), white foaming effect, discolouration and patches. We often identify that no proper survey has taken place, drainage issues were ignored and the sub-base that supports the resin is inadequate. Sometimes, the actual resin mix was too diluted or didn’t set properly. Resin paving is a specialist technique that requires impeccable planning and preparation. Operatives must lay the resin quickly because it dries fast. Such know-how and expertise cannot be improvised or learnt overnight. Our staff are trained as resin installers and we do not use subcontractors. We carry the prestigious TrustMark Government Endorsed Standards accreditation. All our installers are supervised by Mark Harbron, the owner, on the job and for every job to guarantee first-class service and workmanship.